Dr. Herluf Lund is a longtime member of the American Society for Aesthetic Plastic Surgery and practices plastic surgery at St. Louis Cosmetic Surgery in Missouri. Dr. Herluf Lund, a board-certified plastic surgeon from St. Louis, Missouri, was appointed secretary by The American Society for Aesthetic Plastic Surgery. Dr. Herluf G. Lund of St. Louis Cosmetic Surgery (http://www.stlcosmeticsurgery.com), one of the leading plastic surgery practices in Missouri, was named secretary of the American Society for Aesthetic Plastic Surgery (ASAPS), the nation's leading professional organization devoted entirely to aesthetic plastic surgery and cosmetic medicine for the face and body. "I value the opportunity to serve in this leadership role with an organization such as ASAPS," Dr. Lund says. "The society represents more than 2,600 top tier, board-certified plastic surgeons and is dedicated to advancing the goals of patient and physician education and patient safety." As one of the leading plastic surgeons in St. Louis, Dr. Lund has served in leadership positions for a number of organizations, continuing a family legacy of physicians well-known in the region's medical community. 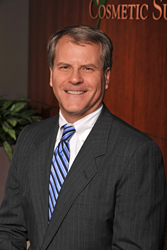 He is a past president of the Missouri Association of Plastic and Reconstructive Surgeons and served as the treasurer and secretary for the St. Louis Metropolitan Medical Society. As ASAPS secretary, Dr. Lund serves as a member of the board's executive committee and is an advisor to the organization's president. The ASAPS president can also designate Dr. Lund to represent the society if necessary. Additionally, Dr. Lund's responsibilities include recording all activities of the society and its board. This is especially critical in recording key policy decisions. The secretary is also charged with maintenance of the records of the society. "I'm looking forward to fulfilling my duties as ASAPS secretary and working with other members of the executive committee,” Dr. Lund says. “One of the goals is to help craft initiatives to expand public awareness of our organization and the benefits of choosing a plastic surgeon who is a member of ASAPS." Leadership positions in ASAPS are merit based and filled by plastic surgeons actively engaged in furthering the organization's mission of promoting patient safety and education and providing excellent, ongoing educational opportunities for its members. Dr. Lund has chaired and served on numerous ASAPS committees, and has maintained an active role in research and education, particularly around breast augmentation. At St. Louis Cosmetic Surgery, he specializes in rapid recovery techniques and has served as a principal investigator in studies using the latest generation of cohesive gel implants. St. Louis Cosmetic Surgery (http://www.stlcosmeticsurgery.com/) features 4 board-certified plastic surgeons with decades of combined experience. Each surgeon continues to develop his skills and expand his knowledge about the most advanced cosmetic procedures available. Patients receive personal attention from the knowledgeable staff and can expect the highest level of care through every step of the treatment process. The extensive training and highly developed skills of the surgeons and staff add up to outstanding, natural-looking results achieved through a wide range of surgical and non-surgical procedures.